Update 1: To access these new screen transitions head to Menu>Preferences>Homescreen Settings. Update 2: I attempted to show off each transition using ShootMe’s new screencasting feature, but it just can’t keep up. 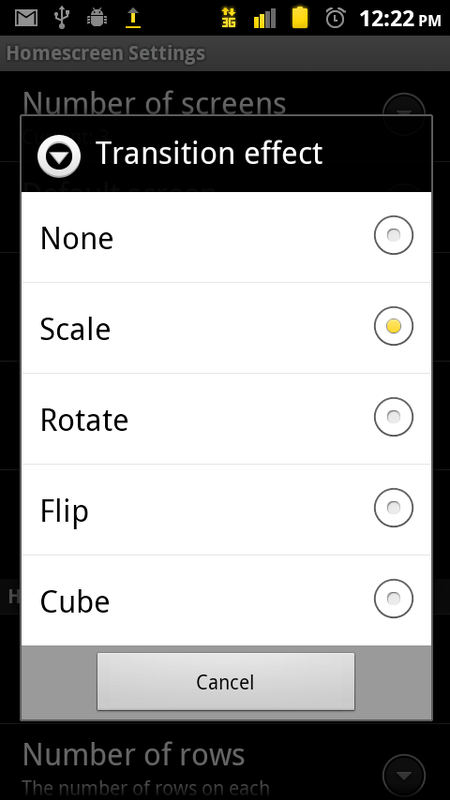 It at least shows you how to set up your phone to have transitions though. Update 3: So now the debate continues…ADW EX or LauncherPro?